Welcome to the new official website for the Vireio Perception VR drivers. For those unfamiliar, Vireio Perception are open source VR drivers. What they do is let you take existing games that were not designed to be played in VR, and soup them up with stereoscopic 3D and head tracking functionality. The software works with leading VR products like the Oculus Rift, castAR, and future innovations. While we have some big ideas on the horizon to help bridge the gap, this software is not intended as a replacement for native VR support. Instead, Vireio Perception has been developed to bring added VR excitement to countless games that wouldn't have benefited otherwise. The drivers are completely free to download and use. Vireio Perception is only compatible with DirectX 9 games at this time. We plan to add more API support once we've completed the current architecture. Interpupillary Distance (IPD) is now determined by the Oculus IPD test. In conjunction with the game's "World Scale", the game cameras are properly placed according to the user's needs. Further convergence adjustments and World Scale adjustments are available while playing games. Brown, Reischl and Schneider's Settings Analyzer (BRASSA) is a new Vireio Perception feature that creates game profiles by scanning the way a game is put together, and automatically creates new profiles from scratch. BRASSA features manual shader scanning and adjustment. VRBoost is a proprietary feature that uses deep access to video game architecture for low latency head tracking, game controller compatibility, and better control of the game cameras. 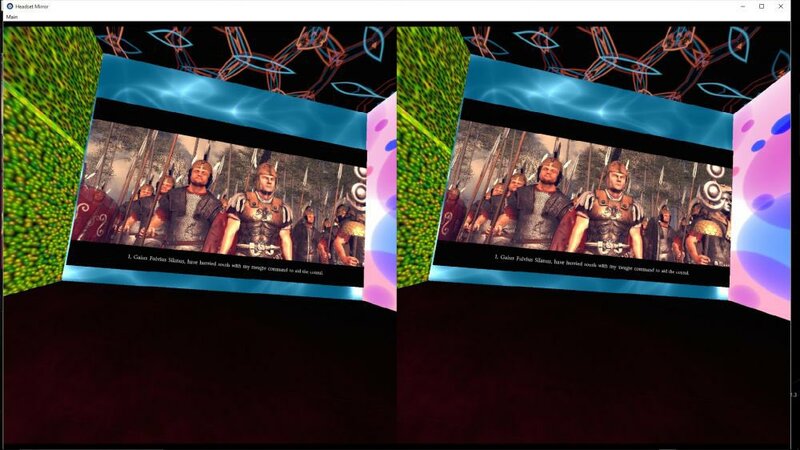 HUD and GUI resizing and 3D depth adjustment features for comfortable VR gaming. New VR Mouse feature for accurate pointing in VR games (still in development). Game image resizing (good for movies and transitions). Left/Right Image Offset (form of IPD adjustment).